Around here, we "run" with an emergent curriculum. well... what about the infants and toddlers? is not much different from working with our preschool aged children. 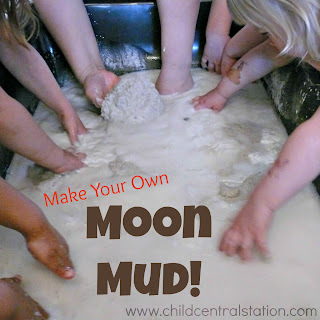 that gives each child the opportunity to learn and grow through exploration. 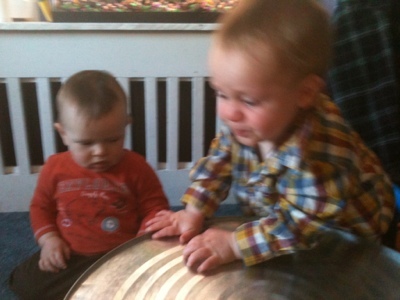 Our little guys are simply fascinated by sound. They have been doing their best to make music wherever they go. This little guy loves the texture of our bench. different toys back and forth across the slightly bumpy surface. If you remember, we have an outdoor music area. 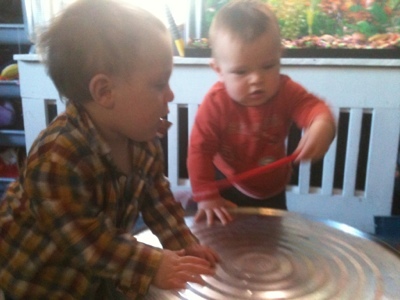 "instruments" within reach of our youngest learners. I went out and found a galvanized utility tub. 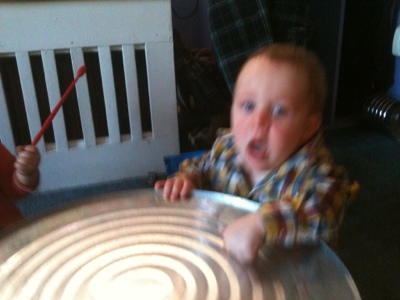 of the drum or the children falling over! 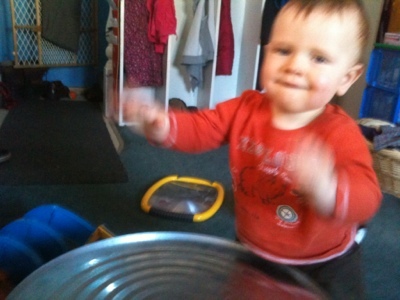 Our boys are having a great time banging, singing, and clapping! I just love all your musical activities. Your outdoor music space is so inspiring! I recently found you, and am loving your site.